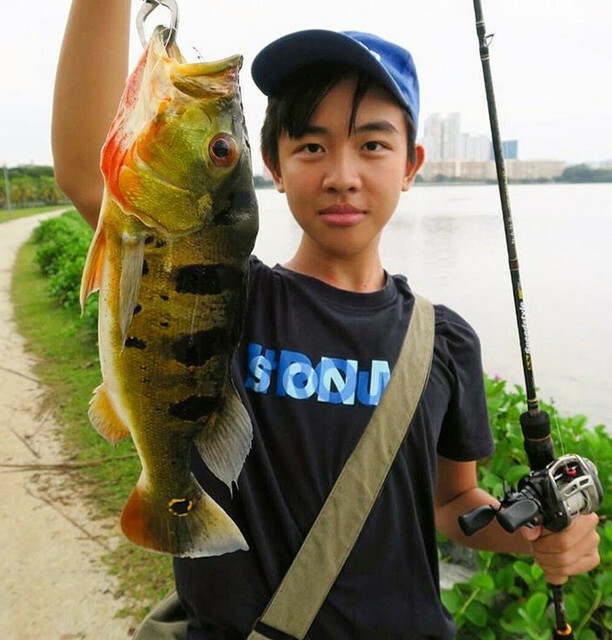 After giving up on the pang sua canal, I went over to Pandan reservoir just to have a little fun with the small fishes that live near the rocks. I was using a cheap tiny UL rod rated at 4lbs along with a few tiny flies, as I wasnt expecting much. Well at least it was big, around 20cm. Safely released. Didnt look like the typical zebra tilapia from pandan, is it a nile tilapia? 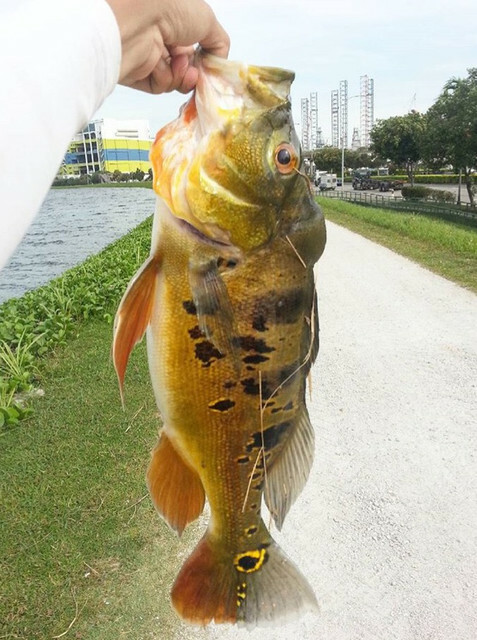 Pang Sua canal do have Peacock Bass since it is connected to kranji Reservoir. Even so it's probably not the best place for hunting them. Shadow Cat gave some very good advice, starting small would be the way to pick it up. 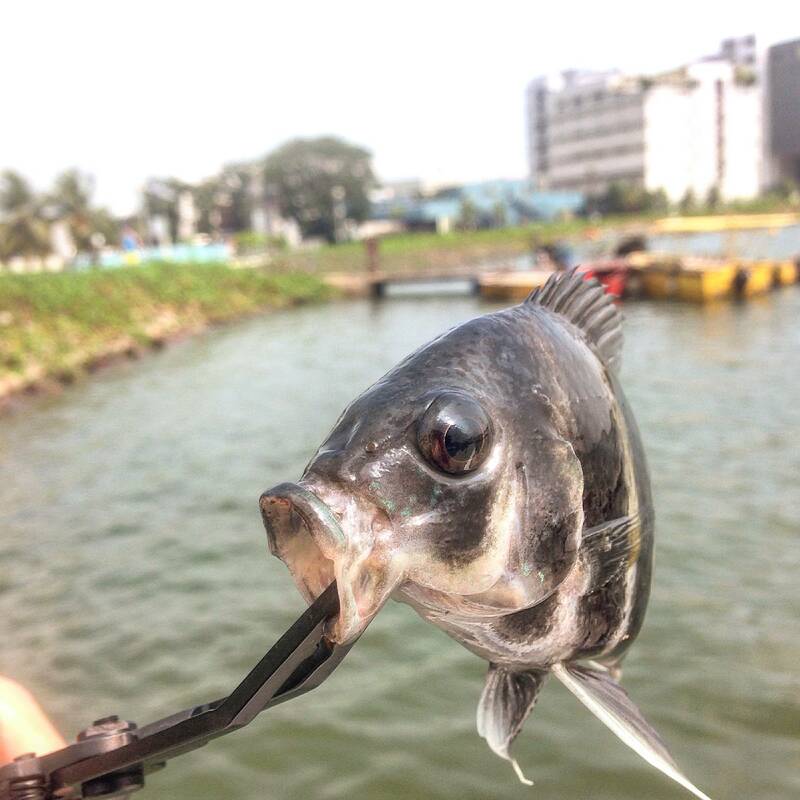 Yeah, the first fish is the common tilapa. I used to see them mingle with the zebra tilapia and they come close to the rocky banks in the early morning. They put up a good fight for their size. 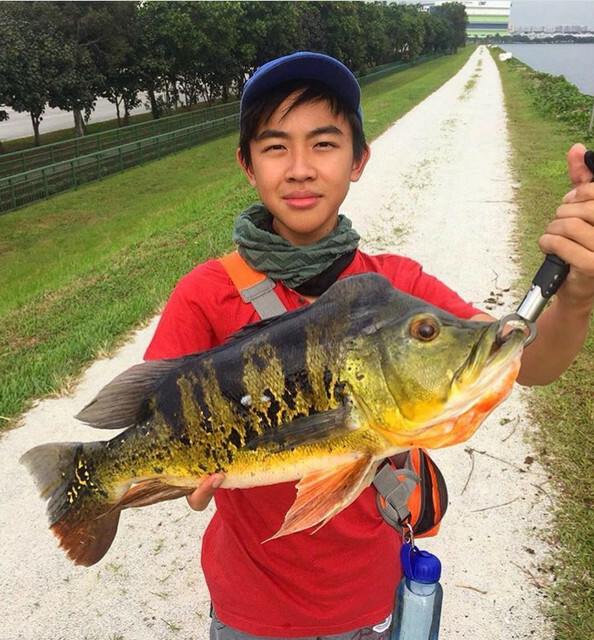 Good luck on your hunt for a Peacock Bass, I believe it won't take you long to land one. It's right here. There's a small platform extending into the canal where you are allowed to fish legally, by its rules of course. 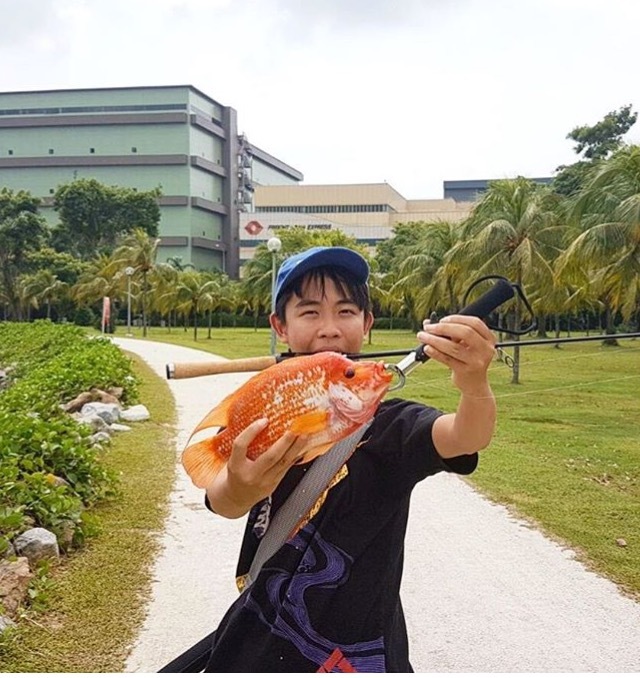 Good luck on your trip to Pang Sua Manfred, hope you get some nice catches! Hi bro great to see some fish being landed. U might want to upsize your lures abit since the smallies seem to be pestering you too much. 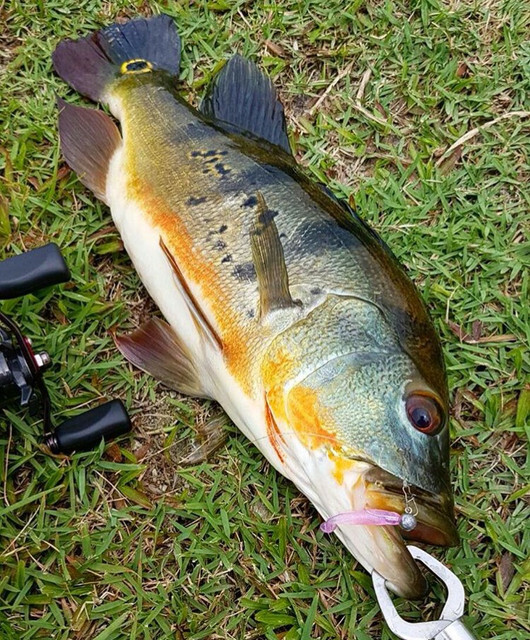 Suggest you try soft plastics or hardbody between 2-3 inch so it deters the small pesky zebra tilapias or u can stick to flies but upsize abit. 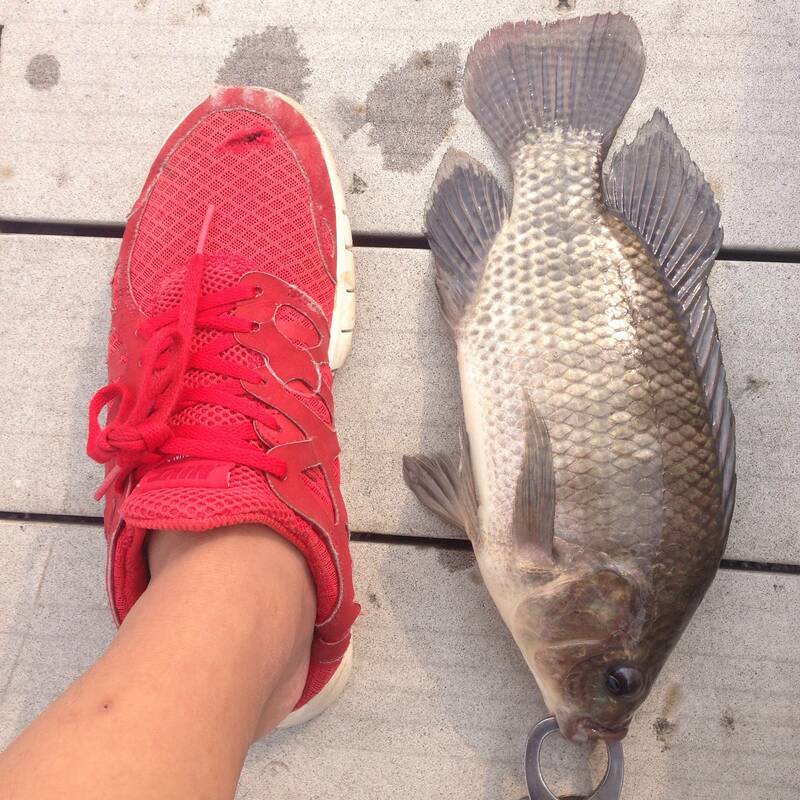 Your tilapia reminds me of the first tilapia i caught haha. Weight was 3kg but despite size din put up much of a fight. Apparently it was a female carrying eggs, landed at legal area on soft plastic. Nothing significant, heng only. enjoy! 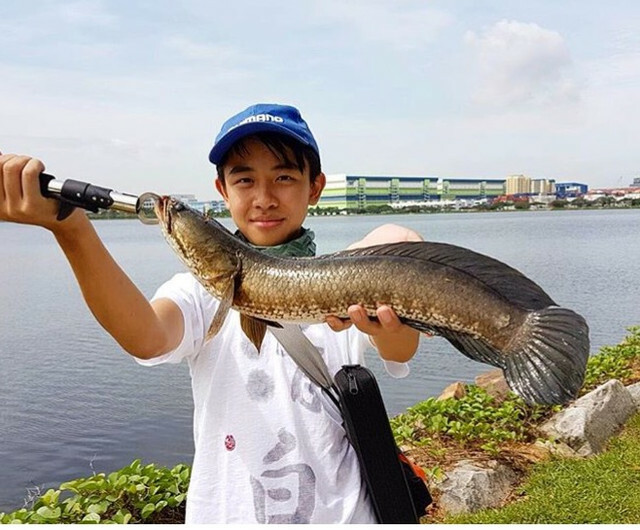 Thanks for sharing the catches there, that reservoir has so much good potential for anglers with rocky banks all around. I don't suppose you got into troubles with the PUB officers there?